My favourite photo from the Monkey Forest, in Ubud, on the Island of Bali, Indonesia. For more photos from this adventure, please visit the Set on Flickr! I love this photo! 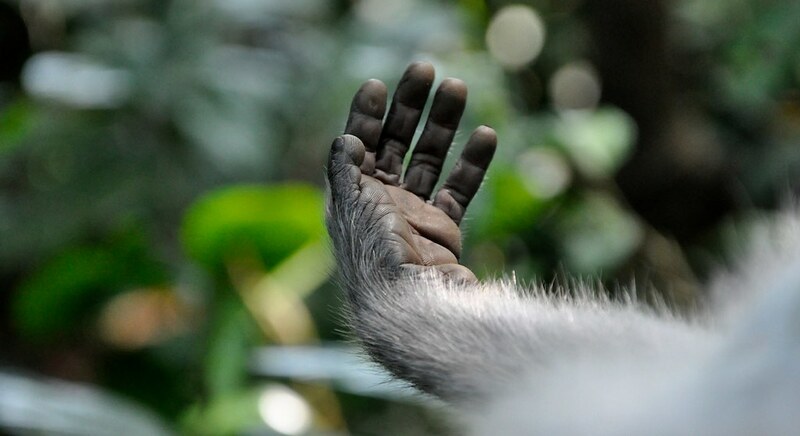 Monkey hand and all that bokeh! Dreamy. Thanks lady! It’s one of my favourites. It was such a tiny little hand, only about 2 inches long! Keep the palm of your hand facing up as though you have money in it. Grab your ankle reach forward and kick back.